Domestic goats and sheep can graze marginal lands, such as those in the Gobi Desert in Mongolia. The need for efficient food production has never been greater. One in seven humans is undernourished. Urbanization and biofuel production are reducing land availability, and climate change, lack of water and soil degradation are decreasing harvests. Over the past decade, cereal yields per hectare have fallen in one-quarter of countries. Meanwhile, developing nations and the growing world population are demanding more animal protein. The increasing consumption of animal protein is generally considered at odds with Earth's ability to feed its people. The 1 billion tonnes of wheat, barley, oats, rye, maize (corn), sorghum and millet poured annually into livestock troughs could feed some 3.5 billion humans. But such reasoning discounts the health benefits of eating modest amounts of meat and the fact that foraging animals can consume foods that humans cannot eat. Crop and livestock farming complement each other. Half the world's food comes from farms that raise both. Animals pull ploughs and carts, and their manure fertilizes crops, which supply post-harvest residues to livestock. But efforts to maximize yields of milk and meat can disrupt finely balanced systems. The quest for 'intensification' in livestock farming has thundered ahead with little regard for sustainability and overall efficiency (the net amount of food produced in terms of inputs such as land and water). With animal protein set to remain part of the food supply, we must pursue sustainable intensification and figure out how to keep livestock in ways that work best for individuals, communities and the planet. You may need a more recent browser or to install the latest version of the Adobe Flash Plugin. Almost all of the world's milk and much of its meat come from ruminant (cud-chewing) animals — mostly cows, goats and sheep, but also buffalo, camels, llamas, reindeer and yaks. Here we highlight eight strategies to cut the environmental and economic costs of keeping these animals while boosting net gains for the quantity and quality of the food they produce. Feed animals less human food. Around 70% of the grains used by developed countries are fed to animals. Livestock consume an estimated one-third or more of the world's cereal grain, with 40% of such feed going to ruminants, mainly cattle. Some of this is avoidable. Ruminants graze pastures and can eat hay, silage and high-fibre crop residues that are unsuitable for human consumption. Unlike pigs, poultry and humans, ruminants have a series of forestomachs leading to the true stomach. In the forestomachs, the largest of which is the rumen, microbes break down fibrous plant material into usable calories and also provide high-quality microbial protein. Ruminants can graze in marginal areas, such as mountainsides or low-lying wet grasslands. This helps to reserve agricultural fields for growing human food. Even where large quantities of cereals are consumed by ruminants, up to 60% of their diet comes from high-fibre feed that humans cannot digest. In the European Union, more than 95% of milk comes from animals fed on grass, hay and silage, supplemented with cereals. Cattle in New Zealand's exemplary dairy industry obtain 90% of their overall nutrition by grazing pasture. China's growing dairy industry initially relied on imported grain and high-quality fibre from the Americas. Ongoing research is showing how best to use local crop residues, such as rice straw. 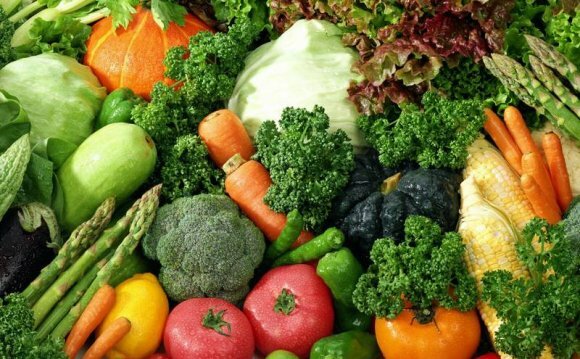 Agriculture – cultivation of animals, plants, fungi and other life forms for food, fiber, and other products used to sustain life.